Photo collection & commentary by Najeebullah Azad. Afghanistan is not only known for the war against terror but it is also the fifth youngest country in the world, with 68% of its population under the age of 25. 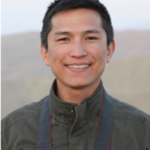 For the Afghan freelance photographer and education activist, Najeebullah Azad (called Najeeb), this demographic boom not only creates risks but also many opportunities. Young people want to contribute to and benefit from the country’s development, yet much depends on older generations and the political as well as economic environment. According to a survey conducted by The Asia Foundation (2016), in total 71.2 % of Afghan youth are currently unemployed, 25.7 % illiterate and 13.8 % are addicted to drugs. At the same time, 69.8 % of Afghans reported that they are ‘sometimes’, ‘often’ or ‘always’ in fear for their personal safety. In addition, the percentage of Afghans with a family member who was either a victim of crime or violence increased by 1.2 points, to 19.4 % in 2016. Not surprisingly, 29.6 % of Afghans want to leave their home country due to security risks and lack of economic opportunities. Notwithstanding these challenges, Najeeb continues to be a proud citizen of Afghanistan, who embraces the diversity of his home country and deeply appreciates how gracefully Afghans live their lives. 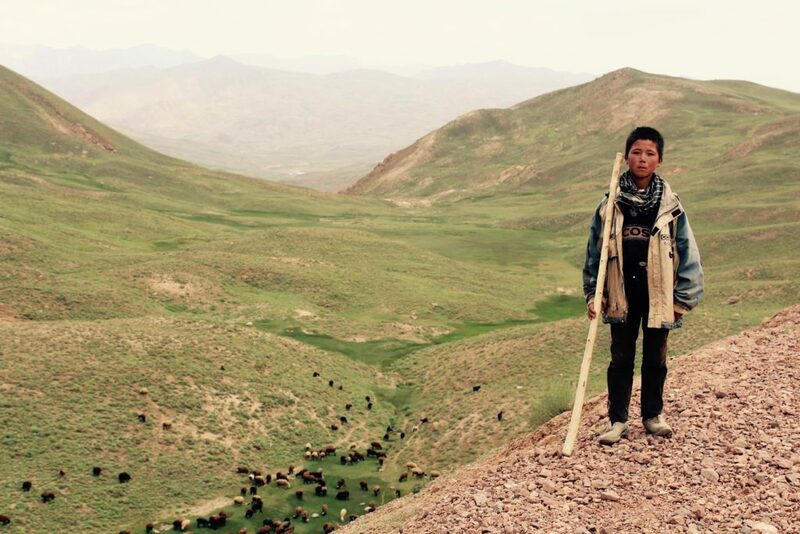 In his photo collection, Najeeb reflects on the interplay of conflict, education and hope. 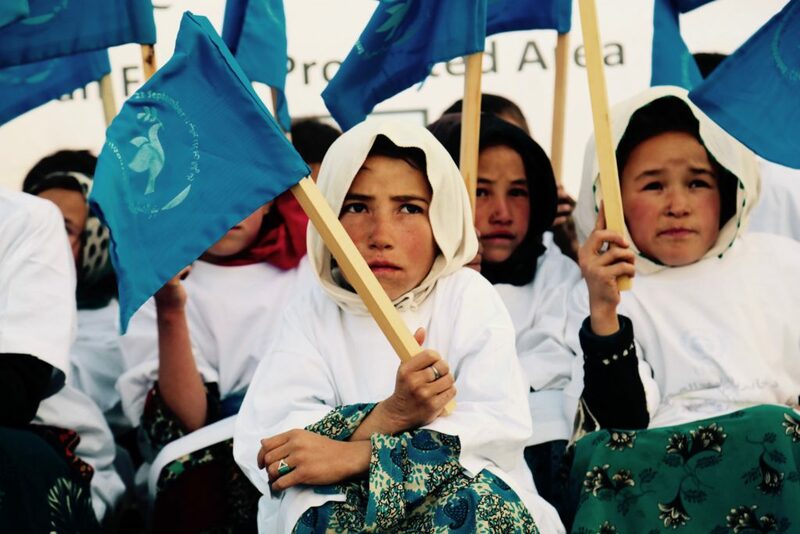 In his view, Afghanistan’s youth remains the country’s greatest untapped resource for a better future. Below he comments on his photographs. 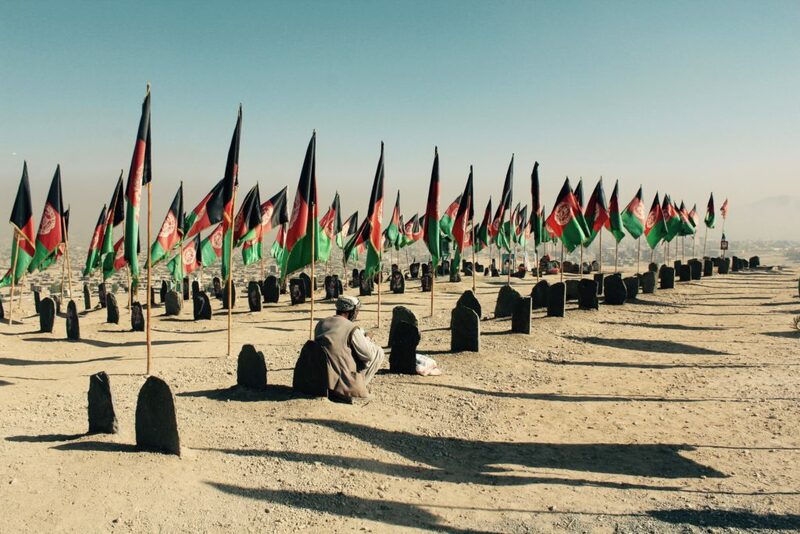 About 104,000 people have been killed in the Afghanistan war since 2001. The war on terror is still ongoing, however there is nothing as precious as hope for a bright future for Afghans. 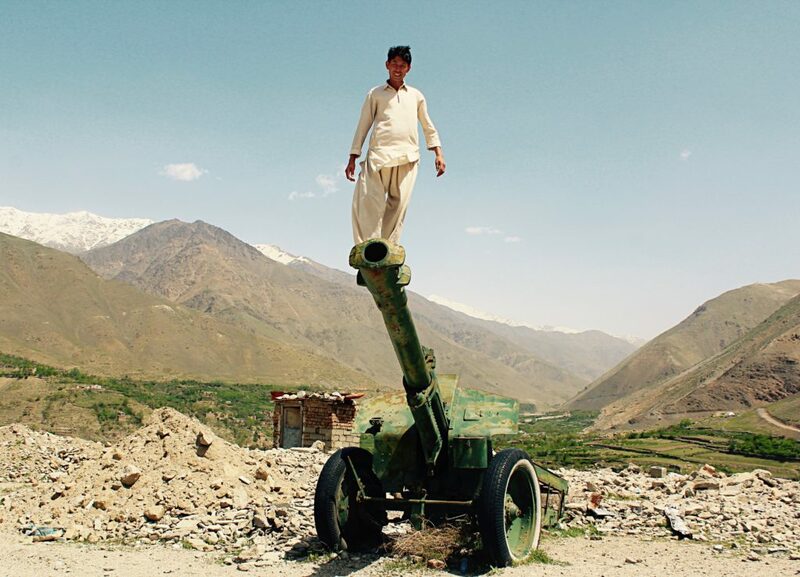 In this photo, a young man is standing on an artillery which was used during the Afghan-Soviet war. The artillery is now used for recreational purposes, allowing people to understand their bitter history and hope for a peaceful future. A father praying for his son at the cemetery of Enlightenment Movement. The cemetery is named in remembrance of the death of 80 Hazaras (a minority ethnic group in Afghanistan), killed by IS during a peaceful protest about the TUTAP (Turkmenistan, Uzbekistan, Tajikistan, Afghanistan and Pakistan) power line project. 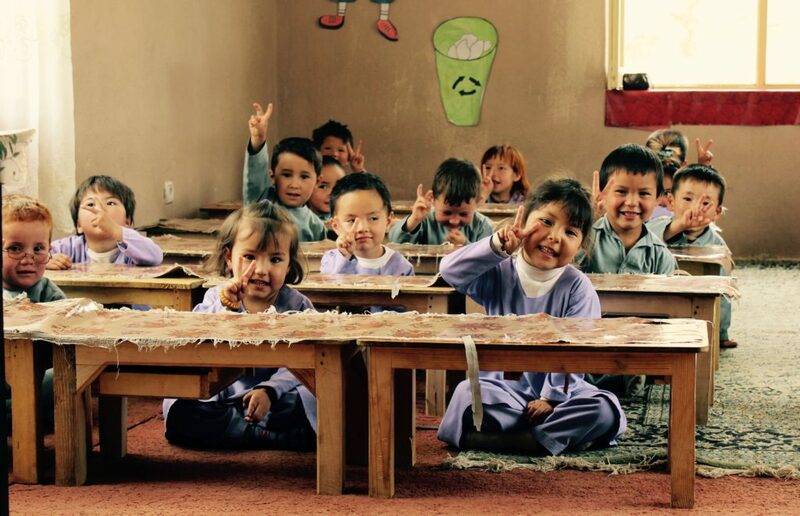 Children in a nursery school cheering for peace in Bamyan, the central highlands of Afghanistan. The school is located in Arzu Social Centre (Arzu means ‘hope’ in Dari) funded by an NGO, which offers English and computer classes, and a laundry room for women only. Currently, about 38 percent of school age children (4.2 million in real numbers) do not have access to schools, most of which are girls. Students attending examinations at Noor High School in Jaghori district, Ghazni province. The first Noor High School was established in Quetta, Pakistan by Afghan refugees who escaped the Taliban, supported by a charity from Japan. 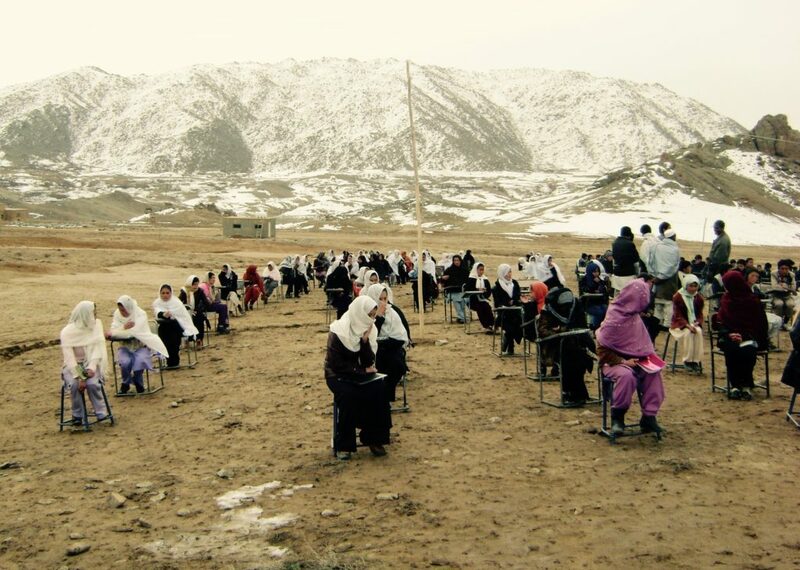 After the fall of the Taliban, a subdivision of the school moved to Ghazni province of Afghanistan. Most schools in peaceful areas of Afghanistan do not have proper buildings and facilities and schools located in insecure areas of Afghanistan that still have proper buildings and facilities are at constant risk of being targeted by the Taliban. A student searching rubbish bins in Kabul in the hope to find a used product which he can still sell to pay for his school expenses. Most school kids in Afghanistan are working part-time as street sellers and rubbish collectors to support themselves and their families. 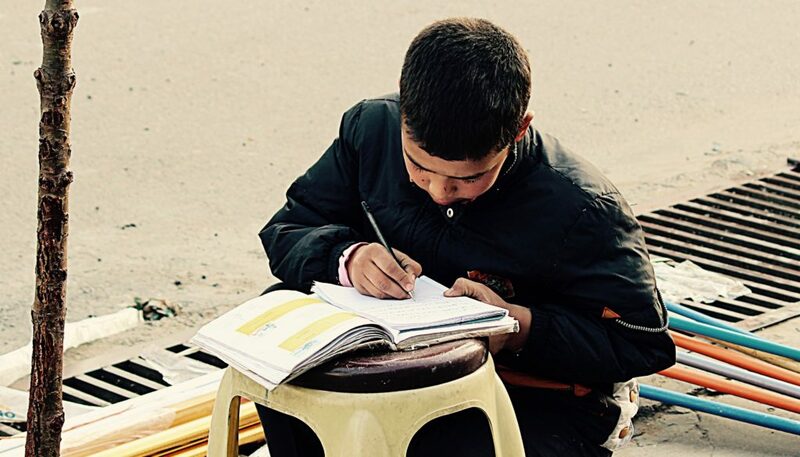 A student reading in front of his father’s shop in Kabul, where he works to help his family. I talked to him, motivated him about his hard-work, and told him that he is the future of his conflict-affected country, a country which is now a ruin due to decisions of our old generation. A young shepherd supporting his community and family by getting paid for every herd he takes care of. He told me that, the survival of his family is the idea of a bright future for him. 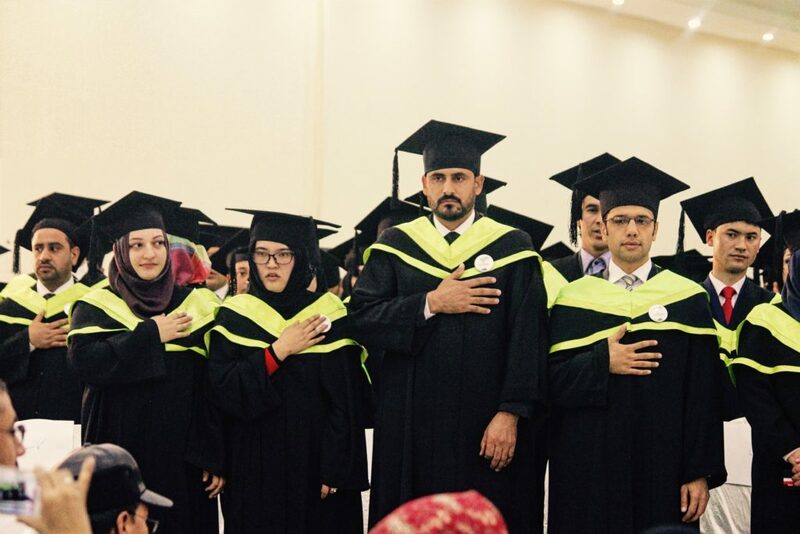 University graduates celebrating their graduation from a private university in Kabul. Only 9.6 percent of college-age students (around 300,000) are enrolled in public and private universities in Afghanistan. The majority of youth does not have access to public higher education and can therefore only enroll at a private university if their families can afford to pay for the fees. However, those few who manage to graduate from a university struggle to find stable employment. I rang the bell and it was very loud! 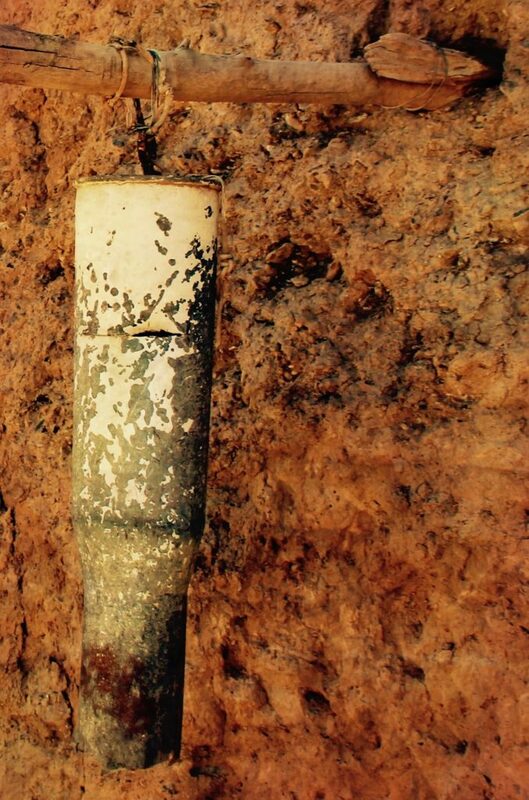 The noise of war is always so loud, but now this school in Bamyan province of Afghanistan is trying to keep the volume of war low, and shine the world with peace through the remains of war artilleries. According to Save the Children, more than 400,000 Afghan children were dropped out of school in 2017 due to growing instability in the country and the forced returns of Afghan refugees from Pakistan. Conflict has also forced more than 1000 schools to shut. 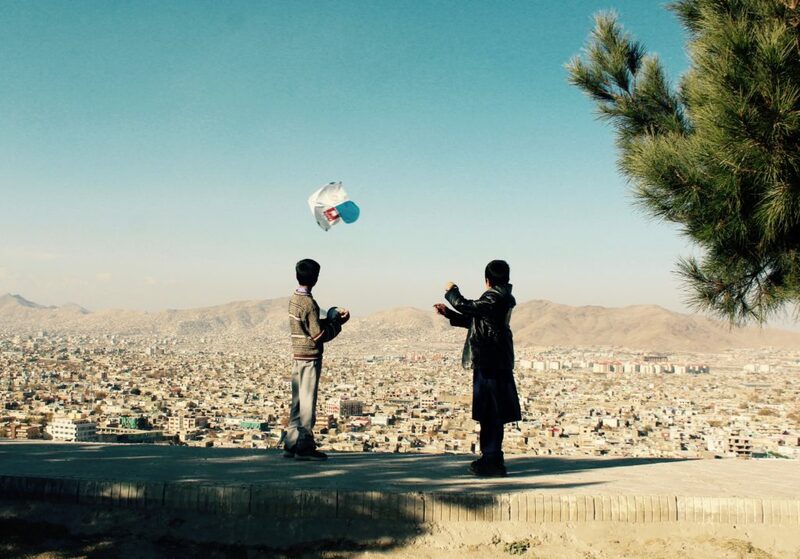 Afghan children flying their kite on Wazir Akbar Khan hill in Kabul. This photo reminds me of Khaled Hosseini’s book – A Thousand Splendid Suns. 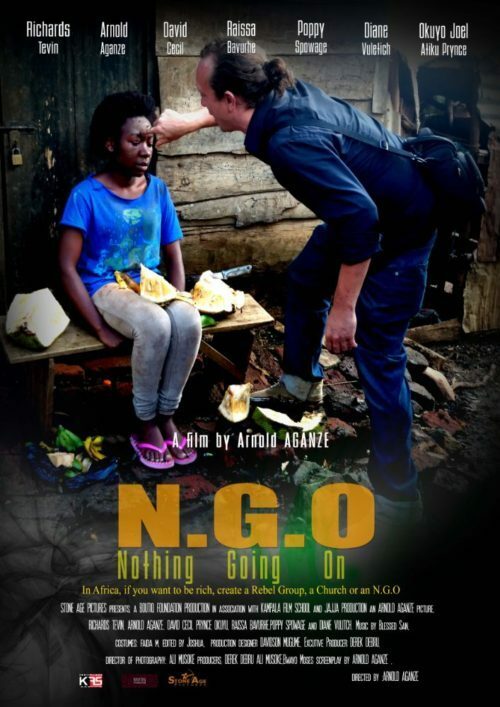 says Arnold Aganze, a Congolese writer and director of his latest movie: N.G.O. – Nothing Going On. The movie starts off as a light story about how two young Ugandan men, Tevo and Zizuke, hook up and party with mzungu (white/western) girls. When one of the girls offers to help her newfound Ugandan fling to support poor women and children in the slums, the movie takes a sudden twist. Instructed by one of their mentors (Mr. Heineken – a successful Ugandan NGO owner himself), Tevo and Zizuke quickly learn how to play the game when it comes to get a piece of that juicy NGO pie. In order to raise “funds” they pull out all the stops: from a project called “Popcorn for Hope” that is supposed to “empower women” and “build capacity”; to restyling a girl from the slums for a photo shoot, as her chosen outfit does not fit the “African image” for successful fundraising. For Arnold, those NGOs aim at creating a perfect society, which will never exist – neither within nor outside Africa. He continues “when a project fails and does not yield desired results, donors and NGOs simply cannot accept that failure, leave the village and move on. Instead they are writing new project proposals thereby creating new words for the exact same problem.” In Arnold’s opinion, it is the aid sector, most specifically NGOs, that are creating a picture of a poor, desperate and broken Africa. Against this backdrop, he felt the urge to tell his own story, as an African, and change the direction of that narrative. Initially, Arnold wanted to shoot the movie in Eastern Congo where he experienced first-hand how for decades an invasion of NGOs (and aid agencies) did not bring about the change people were hoping for. As far as the filming was concerned, it was yet much easier to realize his project in Uganda. The entire budget for the movie did not exceed 2.000 USD and all actors (including Arnold himself) were not paid. “At first no one wanted to support us or even show the movie. A lot of those festivals where we could potentially organize a screening are sponsored by foreign NGOs.” Arnold got the impression that they did not feel comfortable with the content of the film and therefore declined. Similar reactions came from Ugandan organizations who argued that if they offered to help, they would shoot themselves in the foot. Eventually, Arnold and his team managed to screen the movie in several African countries and will be soon touring festivals in Europe. The film premiered at the oldest African film festival the Carthage Film Festival in Tunisia in and has been screened at the: Africa International Film Festival in Nigeria; Uganda Film Festival; and the Cameroon International Film Festival. It won in the category “best feature film” at the Mashariki African Film Festival in Rwanda and at the Pan-African Film Festival Fespaco in Burkina Faso. Eva Schloss (87), one of the world’s last Auschwitz survivors and stepdaughter of Otto Frank (Anne Frank’s father), tirelessly fights against the resurfacing demons of the past in our world today: xenophobia, antisemitism, islamophobia, demagogy and the rise of right-wing parties all over the world. Eva’s Mission – a documentary by Martha van der Bly – captures her path. It explores the experiences that shaped Eva’s identity, mission and life: from the flight from the Nazis in Vienna, hiding in Amsterdam, betrayal, deportation to Westerbork and later Auschwitz – to her role as a survivor, author of three books (Eva’s Story, The Promise, and After Auschwitz), mother, grandmother, public speaker and human rights activist. 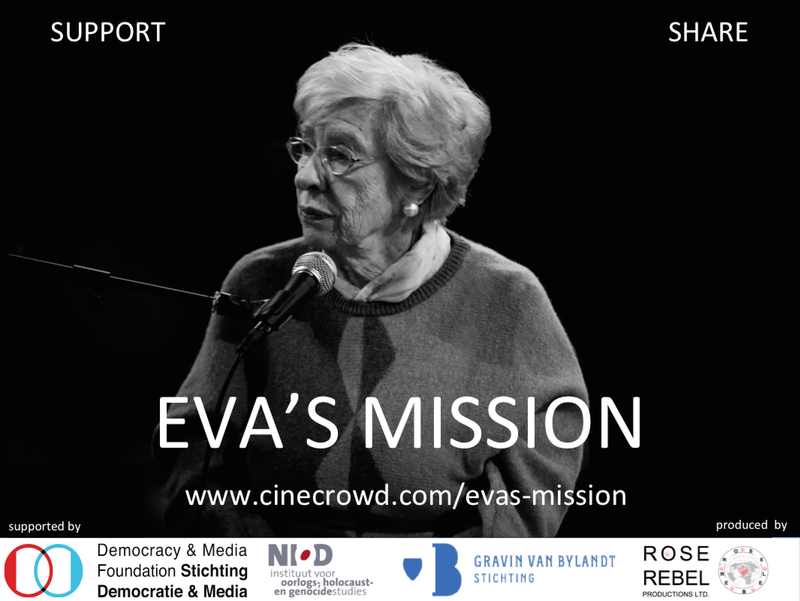 Even though Eva advocates for other people’s rights she could actually not speak about what she personally has been through for forty years… If you find it important that her voice is heard and won’t be forgotten – become part of Eva’s mission! You can support Martha’s documentary on Cinecrowd. Should you want to contribute to the film in any other way please email marthavanderbly@gmail.com. This month, Pol Art proudly starts off with an image that was part of a 2010 temporary series of installations by Andrew Delatolla. It critiques distortions with regards to media coverage of the Palestinian-Israeli conflict, particularly regarding the practices of youth detainment in the occupied territories by Israel. Andrew Delatolla is currently a final year doctoral candidate in International Relations at the London School of Economics. He blogs at www.politicsmiddleeast.com. 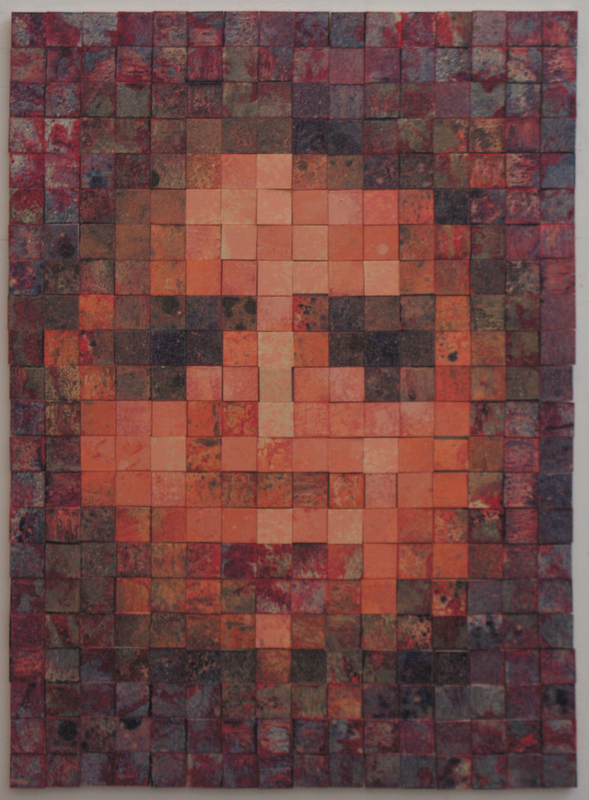 Do you want to contribute to PoL ArT? Get involved.